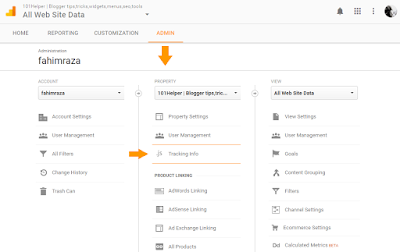 How To Add Google Analytics Code In Blogger - Hallo sahabat Information About Blogger, Pada Artikel yang anda baca kali ini dengan judul How To Add Google Analytics Code In Blogger, kami telah mempersiapkan artikel ini dengan baik untuk anda baca dan ambil informasi didalamnya. mudah-mudahan isi postingan Artikel Beginner to blogging, Artikel Blogger Tips And Tricks, yang kami tulis ini dapat anda pahami. baiklah, selamat membaca. Google Analytics are tools powered by Google which are super good to analyze your site. It keeps all information about your site e.g where your visitors are coming from, what is the country of your visitor, How much time is your visitor spending on your site, What is the behavior of your visitor etc. So with the help of Google Analytics you can keep every info about your site or blog and use it to improve your earnings and to make your site or blog better. The answer is simple and obvious, you can use Google Analytics to improve your site and earnings. How can I increase my earnings using Google Analytics? Well, for example you have an interstitial ad which shows up after 10 seconds and overlays your content and you can see that your visitors are aware about your ad and they are smart :p and when the ad shows up they simply close it and use your site for free without paying you a cent then you can know with the help of Google Analytics that exactly how much time your visitors are spending on your site so for instance your visitor is spending 2 mins on your site or blog then you can show your ad after 20 sec or after 40 sec so your visitor won't understand when the ad is going to show up so you will get more clicks and hence your earnings will increase. How to improve your blog or site using Google Analytics? Let me share another example to explain how can your improve your site and user experience with the help of Google Analytics. So for example you have a blog and you have installed a "Pop Up Page Take Over Follow Buttons" in your blog using Hellobar then you can set the perfect time for the pop up to show up in the due time and make a good user experience. Moreover you can also plan timings of slideout and Newsletter to show up when your visitor is on your site so with the help of Google Analytics you can manage your dynamic widgets and get benefit of them. 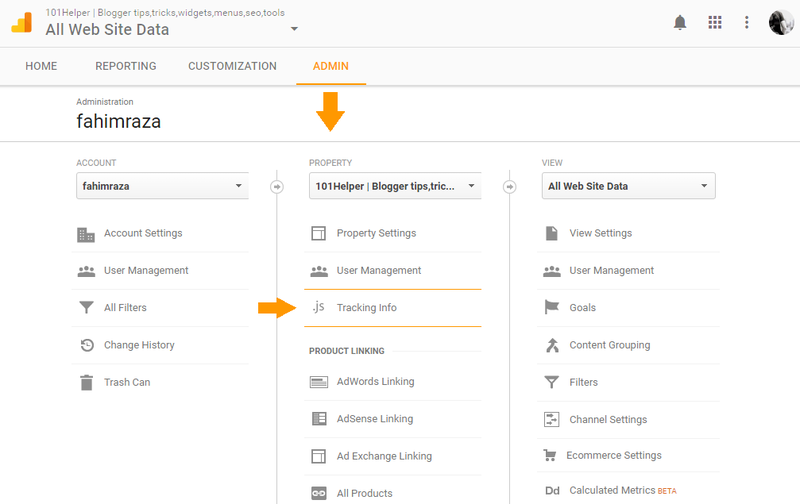 How To Use Google Analytics For Blogger? Step 1: Add your blog to Google Analytics. 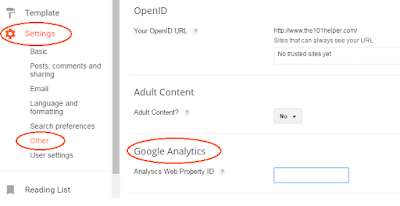 Step 2: Go to ADMIN in Google Analytics and select a property to get its analytics. Step 3: Select Tracking Info > Tracking Code. Step 4: Copy the Tracking ID or Website tracking code, its your choice you can copy the tracking ID or Website tracking code. Step 5: Follow below steps if you have copied website tracking code or scroll below to add tracking ID in your blog. 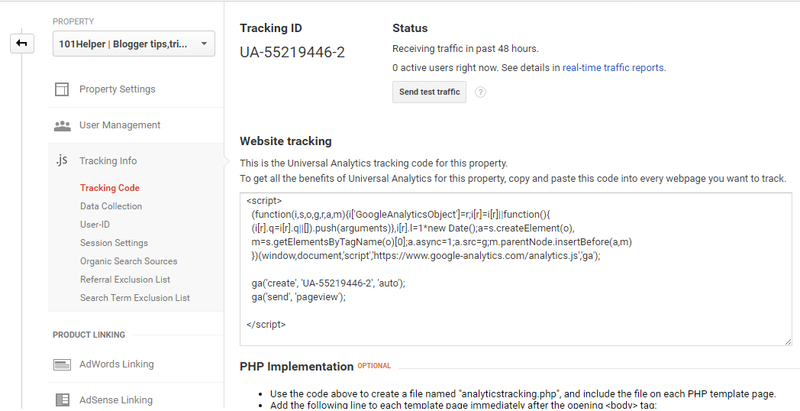 How to add Google Analytics website tracking code in blogger? Paste your copied code above it. Save your template and you are done. 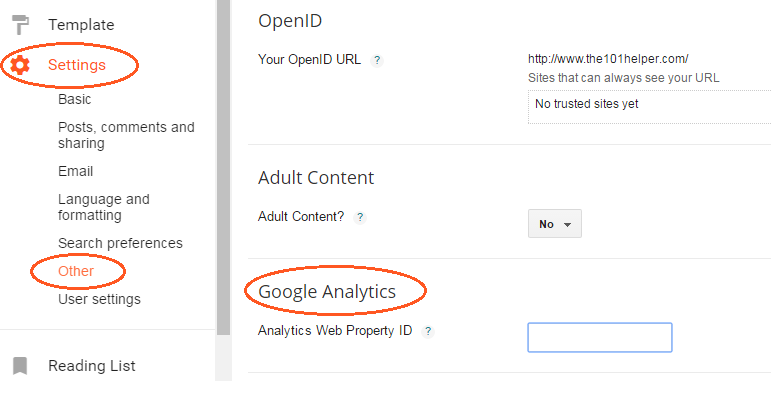 How to add Google Analytics website tracking ID in blogger? Go to Blogger > Settings > Other > Google Analytics. Click on Save settings button on top right of the page and you are done. That's it, you are done successfully. If you have any question ask me in comments or contact me. Follow us on social networks, thanks for visiting 101Helper. 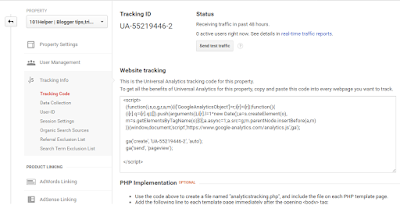 Search keywords: How To Add Google Analytics Code In Blogger, Google Analytics website tracking ID,Google Analytics website tracking code in blogger,what is Google anlytics,how to use google analytics,how to improve user experience and earnings with google analytics. 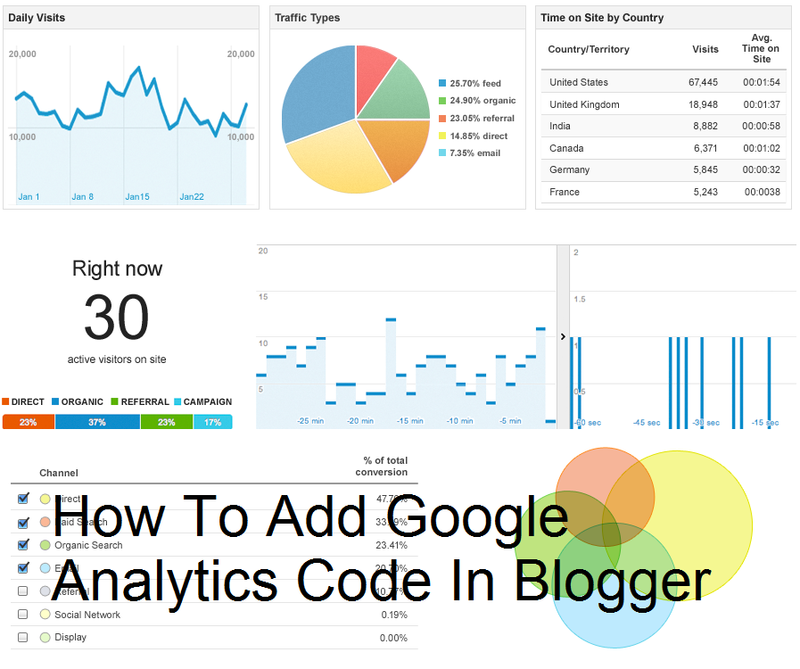 Thank you for visiting the article How To Add Google Analytics Code In Blogger hopefully always provide useful information, see you in another article. 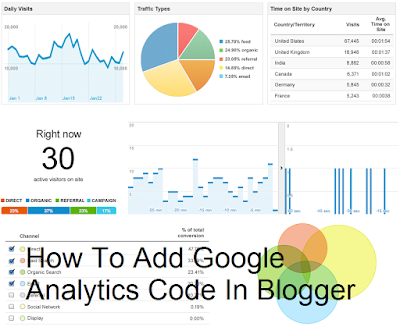 0 Response to "How To Add Google Analytics Code In Blogger"